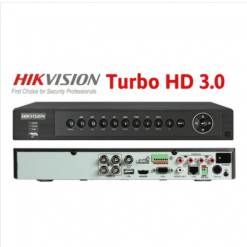 This Hikvision 8 channel package gives you a incredible 3 Megapixel high definition video images. The HIK-7208HUHI-F2N network video recorder (NVR) be set up to record any motion, email alerts and remote smartphone monitoring now using Hikvision’s easy Peer to Peer service. You can rest assured knowing your cameras & NVR are covered by Hikvision 2 year manufacturer’s warranty.